When it comes to insulin injections, people living with diabetes don’t love changes to their routine. And when it comes to pen needles, well, most don’t know, or care, much about them! 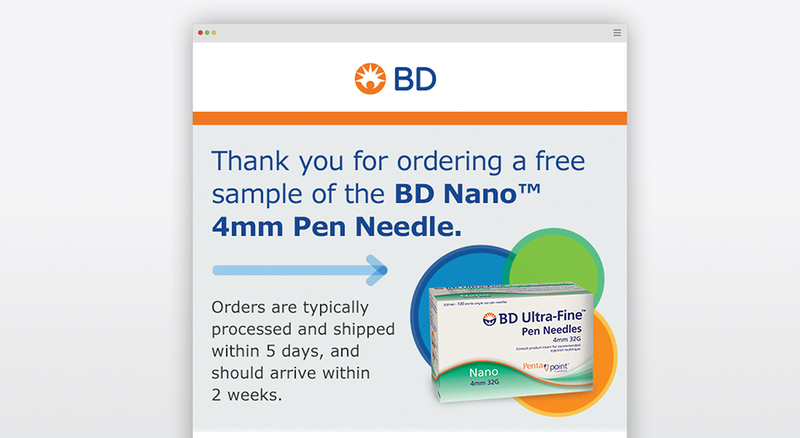 BD needed to overcome these barriers by highlighting the importance of pen needles and convincing patients that the BD Nano™ 4mm Pen Needle was worth switching to. 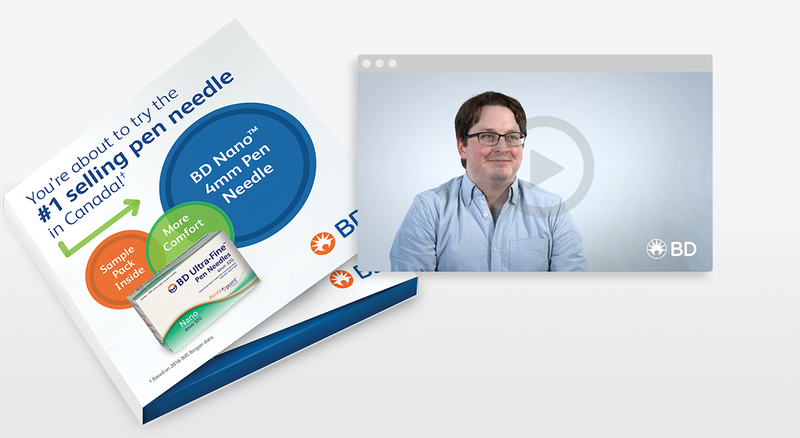 To accomplish this, BD, Brightworks and The Mark Studios designed a patient activation campaign emphasizing the role a pen needle plays in the injection experience and the BD Nano™ 4mm Pen Needle’s benefits in a way patients could relate to. Leveraging a “Real people. Real stories.” theme, the campaign featured real people living with diabetes sharing their personal stories about pen needles and injection technique in engaging ways. 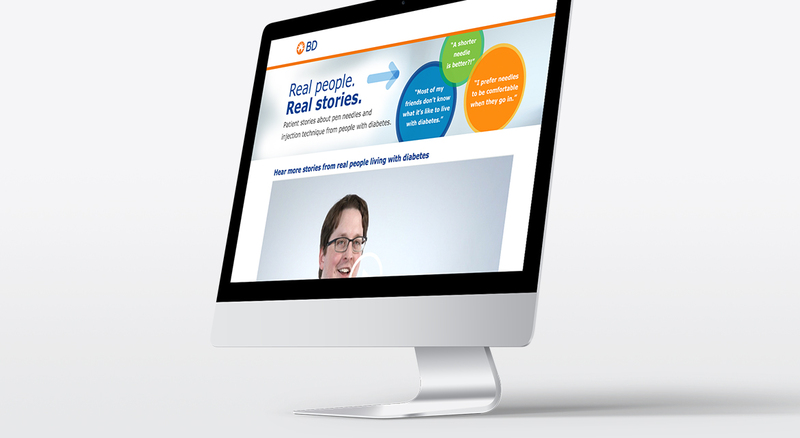 These stories were shared using a mix of online media ads and YouTube videos that then drove to a microsite where patients could request a free BD Nano™ 4mm Pen Needle sample package. The beautifully designed sample packages included tear-off cards patients could bring to the pharmacy to request the BD Nano™ brand. 641,339 people reached and 14,497 clicks to the BD website. Of the people who landed on the sample form, over 80% submitted a sample request. BD filled 6,432 samples and added 6,400 patients to their database. In a BD follow-up survey, 72% of respondents said they were likely to switch brands and almost 5x as many patients rated their experience as very positive compared to their current needle. The BD Diabetes Innovations Facebook page was flooded with positive feedback and stories of patients switching pen needles, further highlighting the benefits of the BD Nano™ 4mm Pen Needle to the community’s 120,000+ followers.